Pacemaker. 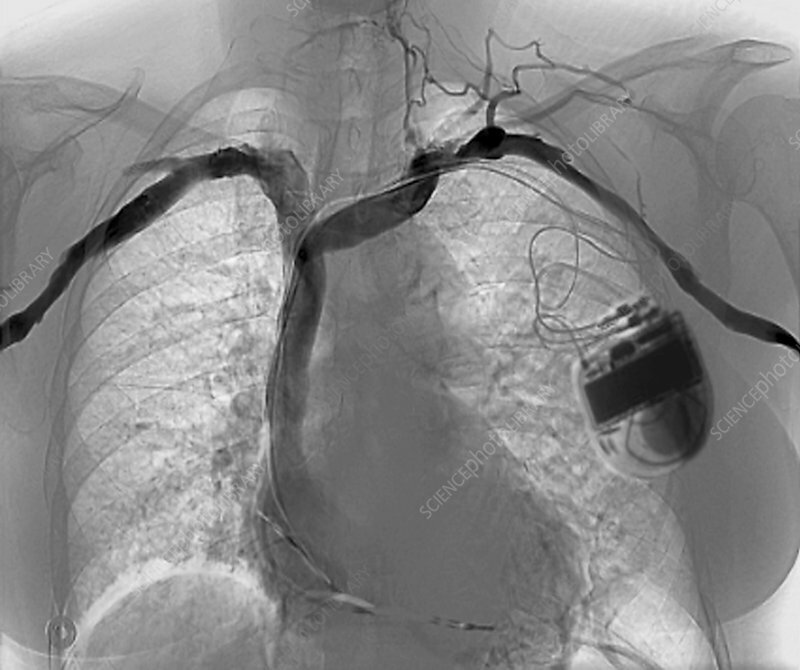 Chest X-ray angiogram of a 74-year-old patient with a pacemaker (centre right) fitted, showing the healthy vena cava (dark). The heart is at centre. Pacemakers use stimulating electrodes (wires) to supply regular electrical impulses to the heart so that it beats normally. They may provide a regular impulse or discharge only when a heartbeat is missed.